Make nappy changing session fun for you and baby as for the next few years nappies are going to play an important role in your life. Have a healthy attitude towards it and use this time to have a conversation with your baby, give him/her smiles, or sing a song. 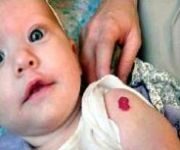 The skin of baby is soft and tender and it can become sore if it’s allowed to stay in contact with wee or poo for a longer time. Change his/her nappy as often as needed to keep the area clean, dry and reduce the chance of nappy rash. Lie your baby on a warm, clean dry area on his back. You can use changing mat, towel, or a clean cloth nappy. Remove the soiled nappy and deposit it in the nappy bucket while keeping a hand on your baby. Use baby wipes, or warm water with cloth or cotton wool to clean your baby’s nappy area gently. Make sure your baby’s bottom is dry. Keep the edge with the tapes at the top about level with your baby’s waist, and the absorbent side of the nappy should go against baby’s skin in case of disposable nappies. 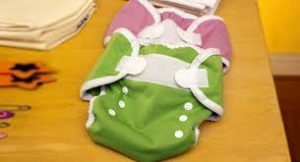 If you’re using a cloth nappy, the widest part should go under your baby’s waist. Bring the bottom edge of the nappy up between your baby’s legs. Fasten the diaper at both sides with the tapes, making sure it’s snug, but too tight. You can use grips or pins to fasten a cloth nappy. Apply little nappy cream on the genital area if your baby is showing signs of redness.